I am so excited tomorrow to watch the Superbowl game eat all of the yummy appetizers! Ha! I mean really...who goes to parties to actually watch the game? Not this chicka! I don't even care about the commercials! Me and the little one are going to a kid friendly Superbowl Party (no hubbies) with lots of yummy food! 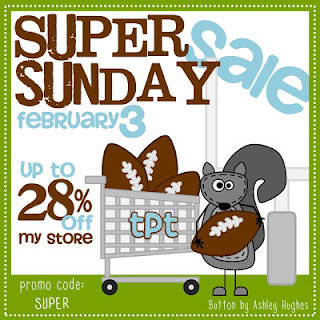 One thing I will be doing before I go to the party is scoop up lots of great goodies at the TPT sale! That's right! A Superbowl Sale!!! I will be throwing a 20% off sale in my store. That, along with the 10% from TPT...you can save 28%!!! Here is what you can grab in my store for a great deal! 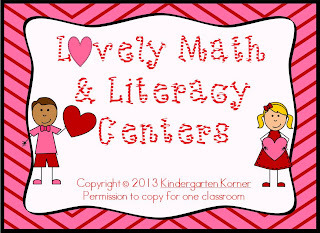 I just finished my Lovely Literacy and Math Centers! 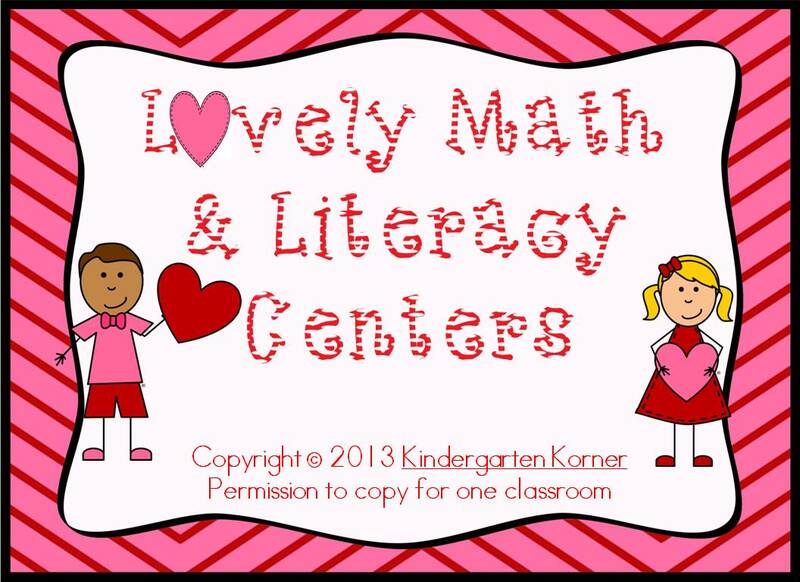 This unit is jam packed with math and literacy centers aligned with Common Core! If you just teach one of the content areas, I have also split those up and you can purchase them separately! I have also uploaded my new Circus Fun unit. Note: This was previously my Dr. Seuss unit. Due to copyright issues, I had to change the clipart. If you have already purchased that unit, you may go back and download the circus theme! It is the same unit however, I did not change the content. I hope everyone a great Superbowl Sunday! Get your game shopping on!